Justin Smith Architects commissioned Skyline Pictures to take some aerial pictures and video of the house and CAA-Approved drone pilot Kevin Clarke spent a couple of hours on-site with his professional-grade DJI Inspire drone camera system during very good weather on Sunday morning. The results are pretty impressive. Kevin did a great job satisfying my curiosity about the technicalities of flying the drone and some of the considerations of complying with CAA requirements – especially important given that East Midlands Airport is only a few miles away. Someone being paid to fly a drone effectively counts as a commercial aircraft operator and I’d recommend anyone planning to commission drone photography to review these CAA guidance notes beforehand. 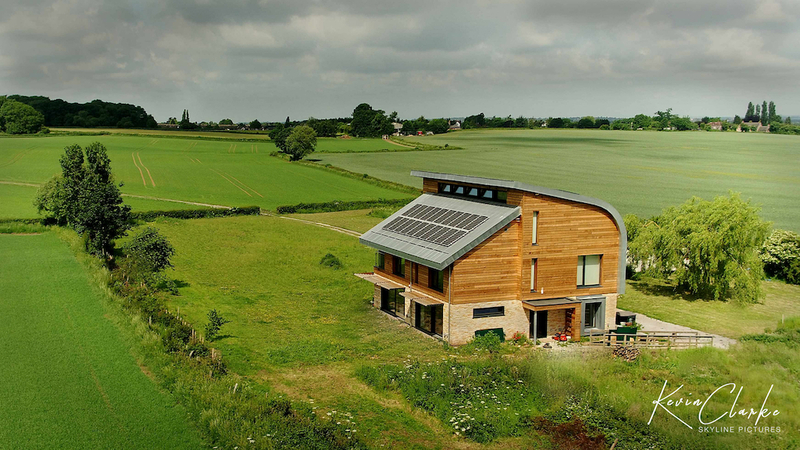 Professional Drone Photography by Marsh Flatts Farm Self Build Diary is licensed under a Creative Commons Attribution-ShareAlike 4.0 International License. This entry was posted in Plot by dMb. Bookmark the permalink.